Spring is the perfect time to add loads of color in your wardrobe. Keep your spring days bright with this oh so yellow ruffle fit and flare dress from 1901. Obsessing over this super cute Micheal Kors pineapple bag and Gucci pineapple sunglasses. Rep your bey-hive love with these Kate Spade bee earrings that make me smile whenever I look at them. If your like me, you like your phone case to fit with your mood or outfit, loving this Soinx Bora Bora iPhone X case, it make me dream of a tropical vacay. I absolutely love this off-the-shoulder maxi dress from Glamorous, its so airy and gives me chic desert explorer vibes 😂. 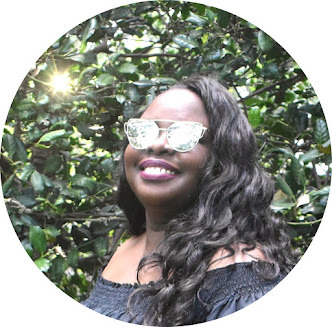 I accessorized this dress with the must have Gucci Marmont mini bag, Stella McCartney chain detail square sunglasses and the Jeffery Campbell Despina sandals in the color taupe. I love unique and quirky earrings, the Faris Estra earrings look like blossoming flowers and my pineapple obsession peaks out with these Alexis Bittar pineapple earrings. When I found these incredible fruit themed accessories I knew I had to build a outfit around them. 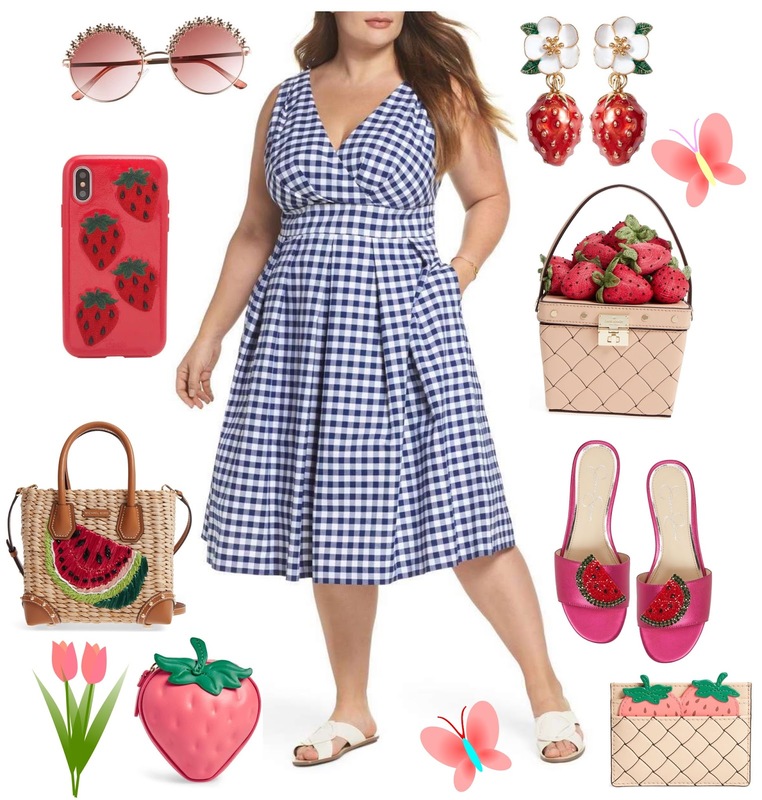 The accessories give me picnic vibes, so I knew I needed a gingham print dress, this fit and flare style dress from 1901 did the trick. I adore these cute Jessica Simpson watermelon slide sandals, they scream spring|summer. The Kade Spade strawberry earrings, Sonix strawberry iPhone X case, and the super cute Michael Kors watermelon straw bag all have my heart. Also obsessing over these Kate Spade accessories, the strawberry basket bag, card holder and coin purse are so extra, they make me so happy. Spring time is also a great time to rock all things pastel colored. 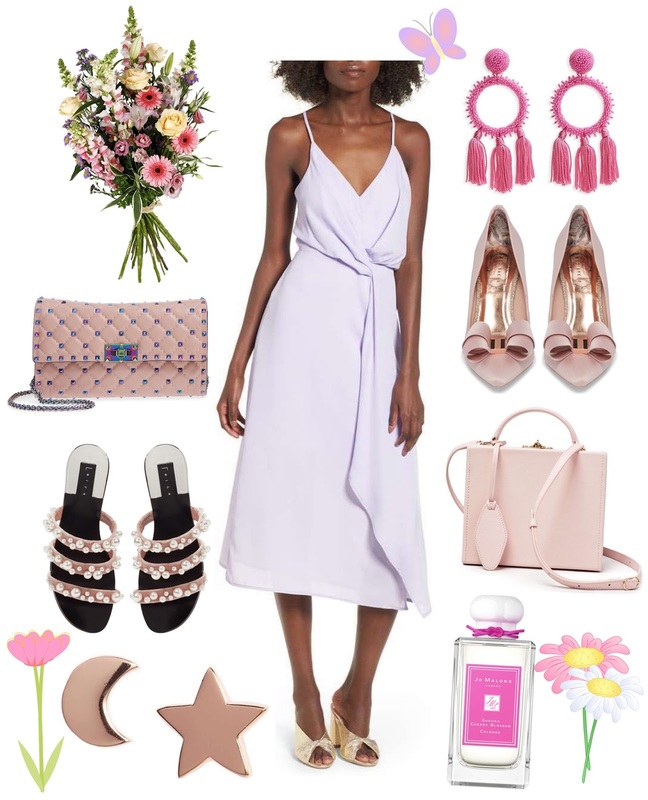 I'm loving this Dee Elly knotted waist midi dress in a beautiful lilac color. The dress pairs so well with the Ted Baker London Skalett pumps, the Pop & Suki box bag or the drool worthy Valentino Matelasse rockstud bag with the iridescent studs (i'm currently obsessed with all things iridescent 😍). I literally picked this Jo Malone fragrance because of the way the bottle looks, I'm a sucker for cute packing, plus you can't go wrong with a cherry blossom scent for sping.